! LINUX/MAC VERSIONS IS NOT TESTED ! WE DO NOT OWN THE MUSIC! It's a cute, short game. I kinda wished there was more to do, or that I could actually feed the ducks, but it felt therapeutic at least! Hope you enjoy the video! You can feed the ducks by getting the coin and then clicking near the market for bread. Then you go back to the bench and click again to feed the ducks. This is the scariest game I've EVER played. Very relaxing although it does loose a few points as I wasn't able to feed the duckies. Have you ever wondered how to have the perfect Friday night? Become a bike! Fun game! Why the horror tag though? ;o Made me think there was some kind of super secret horror element to it. Also, the music instantly was copyright flagged when I uploaded it. Plus, I like this centered text for the comments. It makes everything seem important and wise. Thank you. It seems to work though I don't know how to sit next to the lady on the bench. Also, should the bandit be running in place and not moving? Also, is there an ending to the game? We have not fixed any of the issues from the gamejam so yeah he will run in place hehe. On PC you use the "Ctrl"/Mouseclick to interact and ring the bike's bell! The contrast between "Awww, that's a cute little game!" and "OMG I CAN DESTROY EVERYTHING, BEHOLD!" was amazing. <3 It's always extraordinary for me when a jam game manages to play perfectly with the players' expectations like yours did. 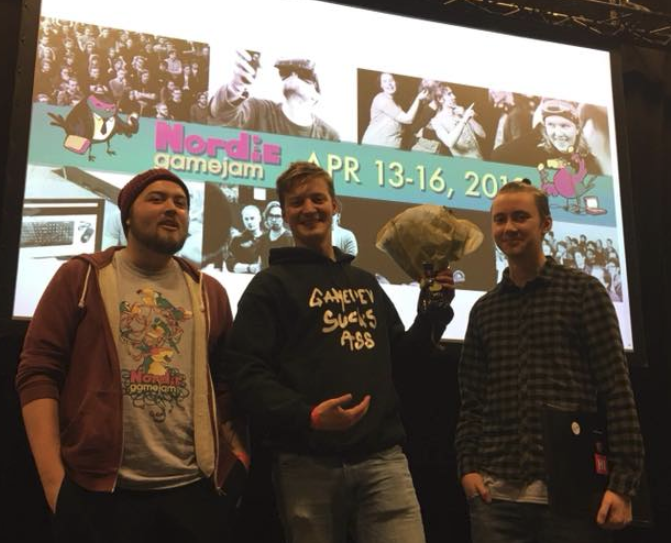 Congratulations for the 2nd place in the Nordic Game Jam 2018, it's well deserved. :) Happily I wrote a little recommendation article about your game and also uploaded a quick playthrough video as well. 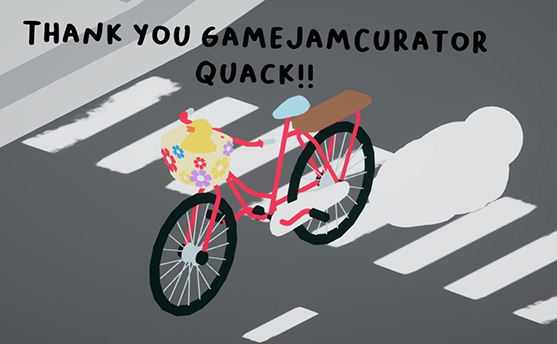 <3 Thanks for this game, I had a lot of fun (and the ducklings are super sweet, quackquackquaaack! ).